My wife went to a music festival in Orlando last fall. Alone with the dogs for the weekend, I decided to do something I had always wanted . . . to start writing a novel! 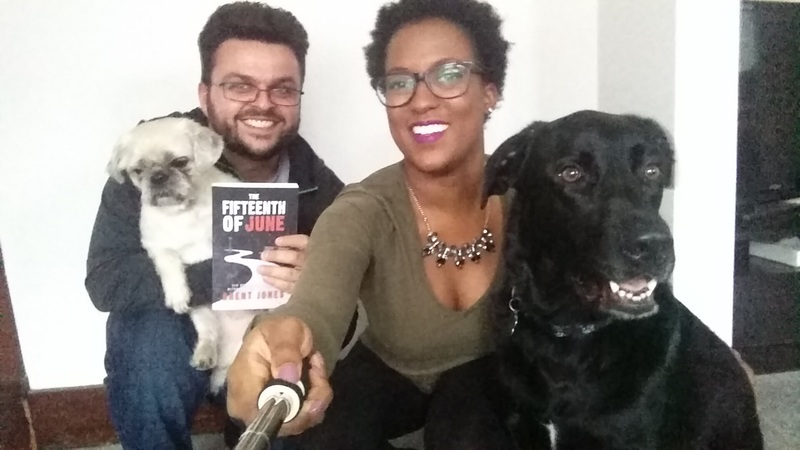 After roughly two months, I had finished the manuscript for The Fifteenth of June. I had initially titled it Stuck in One Spot, but my fabulous editor, Laura Mae Isaacman, persuaded me to rename it, and I’m glad she did. I think I repeated that to myself so often because the thought of someone reading my work—let alone choosing an editor to dissect it—was terrifying. Now that my book is available for purchase, I feel nothing but elation. The final product turned out even better than I had hoped, and I’ve already started writing my sophomore release, which I hope to publish by August. Yes, there were only four attendees—maybe the next one will be bigger! The Kindle edition of The Fifteenth of June will be free on Amazon between March 6-8, 2017. If that promotion has expired by the time you read this, subscribe to my newsletter and I’ll send you the first two chapters for free in your choice of MOBI or EPUB format. Alternatively, you can purchase the Kindle edition for $2.99 USD at any time and the print edition (featured in the above photo) for $9.99 USD. To all who supported me over the past few months, you have my gratitude.